Navigate the world hands-free with the durable Foretrex 401 wrist-mounted GPS navigator. 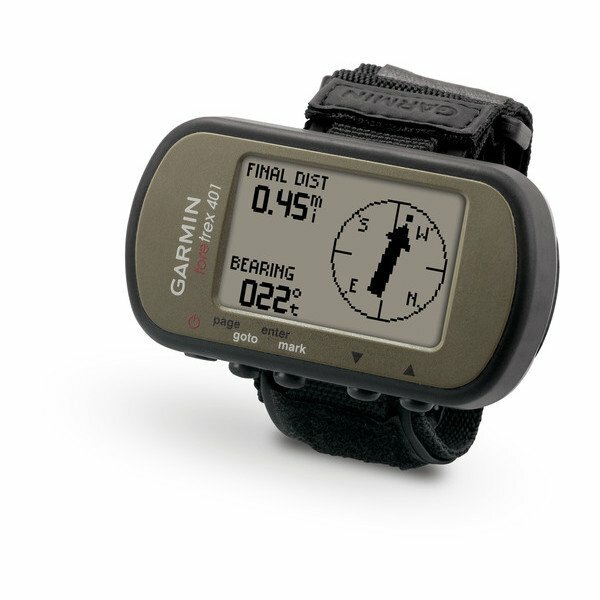 Keep your bearings nearly anywhere with a high-sensitivity, water-resistant GPS receiver, electronic compass and barometric altimeter. Slim and lightweight, Foretrex 401 is ideal for hikers, skiers and campers. You'll never worry about getting lost with Foretrex 401. It keeps track of your path and displays it as a dotted trail on the screen. Just turn on the TracBack® navigation feature, and you can retrace your path back to where you started. Keep track of your bearings and altitude with the Foretrex 401 navigator's electronic compass and barometric altimeter. You can save locations in memory as waypoints so you can find your way back to any important place such as your campsite or vehicle. And it boasts up to 17 hours of battery life and replaceable AAA batteries. Foretrex 401 lets you create and store routes to all your favorite places and provides other helpful information, including a trip computer, sunrise/sunset times and hunting and fishing information. 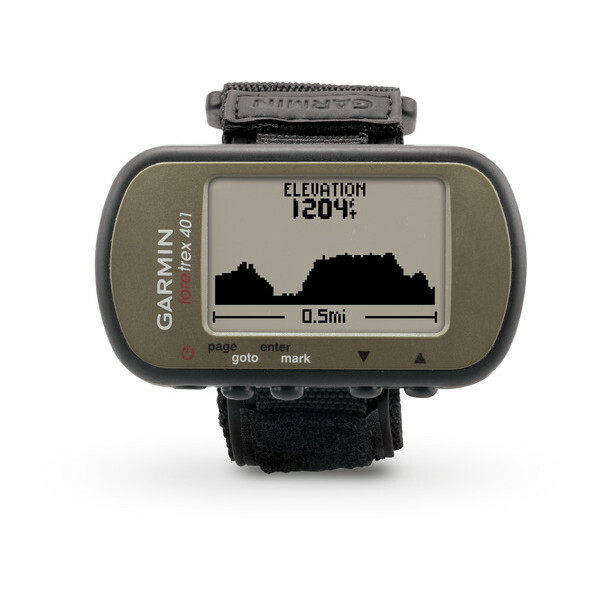 For even more data, connect Foretrex 401 to a wireless accessory, such as a heart rate monitor or cadence sensor, or clip it on your bike with a mount. To keep track of your trip, connect Foretrex to your computer with USB to store your waypoints, routes and tracks, or share them wirelessly with another Foretrex 401. 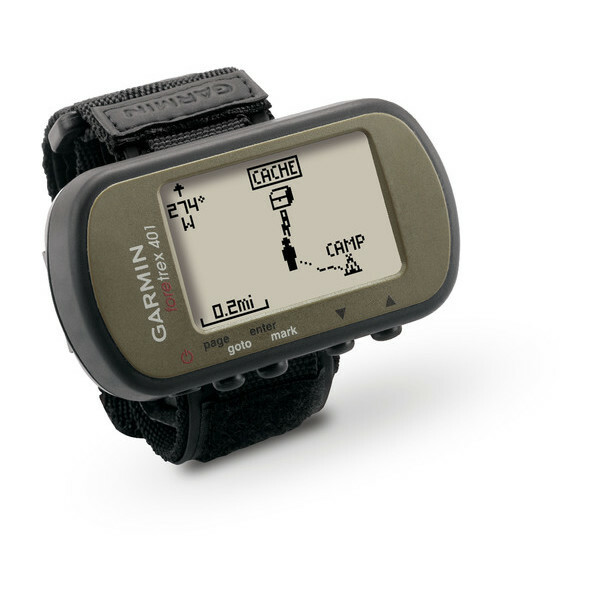 With a simple connection to your computer and the internet, you can get detailed analysis of your activities using Garmin Connect™, our online fitness community. It allows you to view your activities on a map using Google™ Earth. 2.9" x 1.7" x 0.9"